Sturdy, slow, and definitely eye-catching—spot Portland's newest ride at 100 station stops spread across the city. 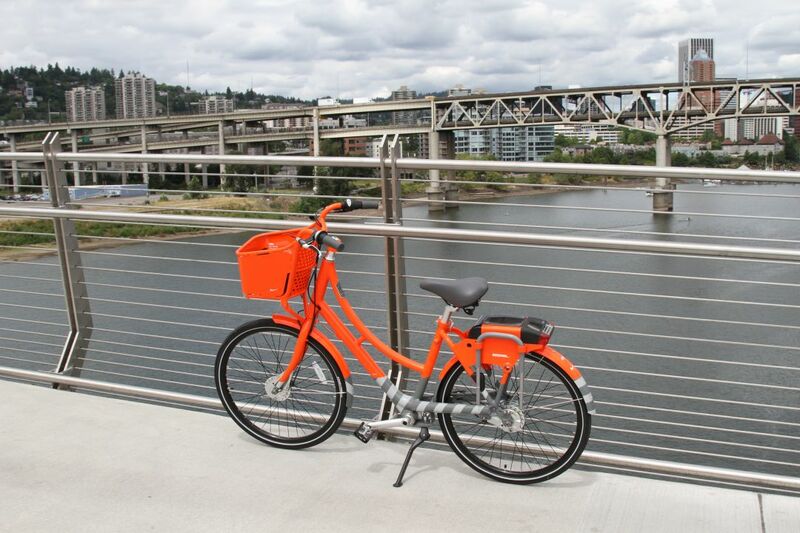 For city where cycling is so much part of the culture, it feels a little backwards that it took 10 years to launch Biketown, Portland's brand-new "smart" bike share program. 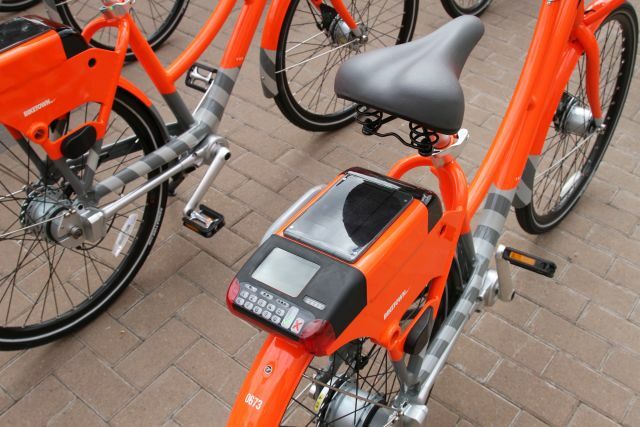 As of July 19, 1,000 neon orange cruisers are available to cyclists at 100 stations throughout the city—effectively making Biketown the nation's largest smart bike program to date. 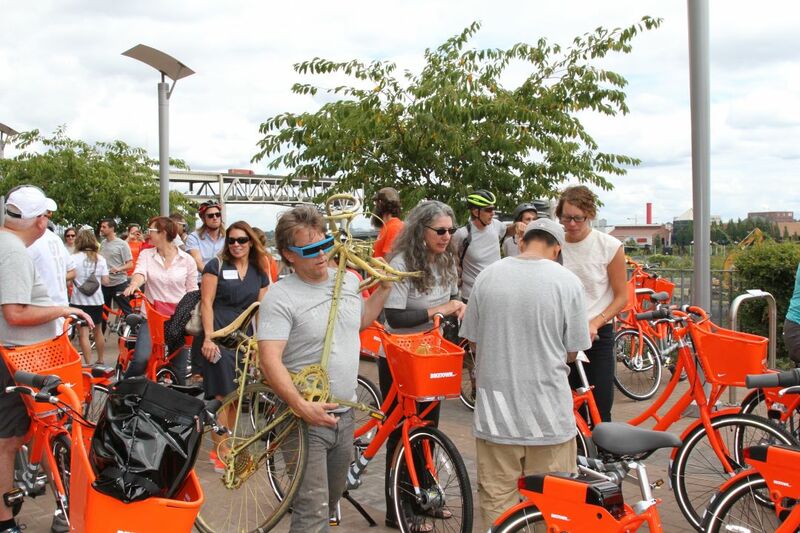 Early that morning, I attended the program's official launch—a for-show "bike-unlocking" on the west side pavilion of the Tilikum Bridge attended by such notables as Mayor Charlie Hales, City Commissioner Steve Novick, and U.S. Representative Earl Blumenauer. 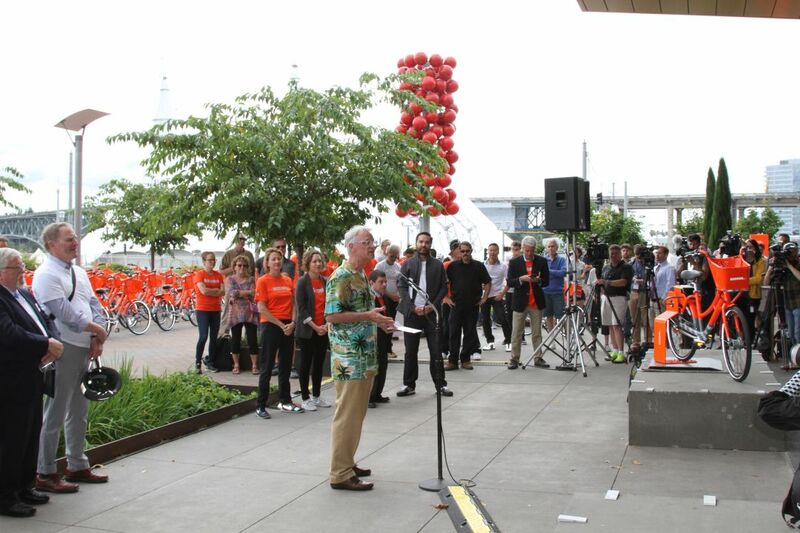 A very energized Earl Blumenauer spoke at the July 19 launch event, noting that Biketown is one more thing he plans to brag about in the Capitol. Ready to ride at Biketown's official July 19 launch event. Apart from sharing a citrusy frame color, Portland's zippy new Biketown cruisers have little in common the defunct Yellow Bikes. First, let's talk big picture. 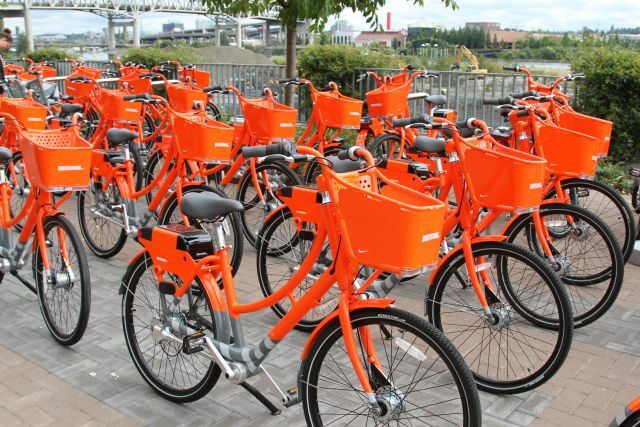 A Biketown ride, unlike Yellow Bikes, is not free. 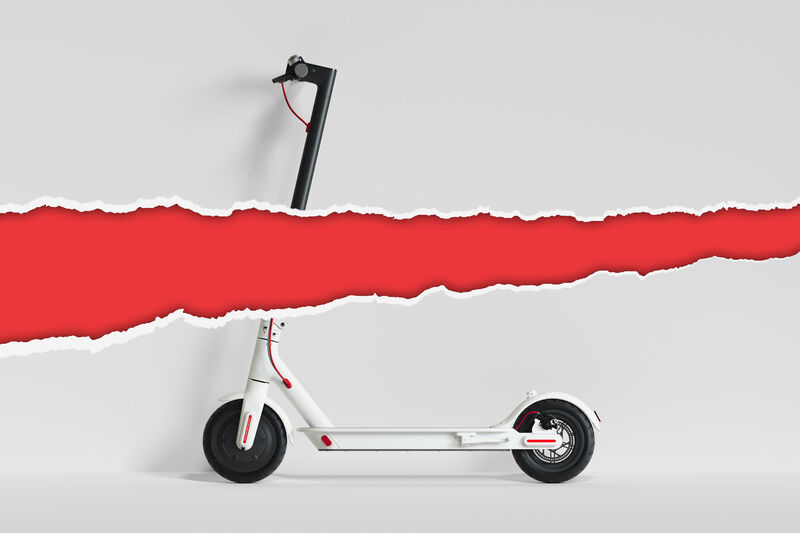 A membership will set you back $12 per month (90 minutes of ride time daily) or $2.50 for a single, 30-minute trip (the same rate as a single-ride TriMet ticket). At the time of the July 19 launch, Biketown already had more than 1,000 memberships registered. Another big difference: overall operational cost. Yellow Bikes was a low-budget community affair cobbled together by friends and the Community Cycling Center. Biketown was funded by $2 million in federal grant monies—along with another $10 million kicked in by Nike. The rides are "smart"—which means a computer mounted above the rear wheel monitors access and tracks usage. 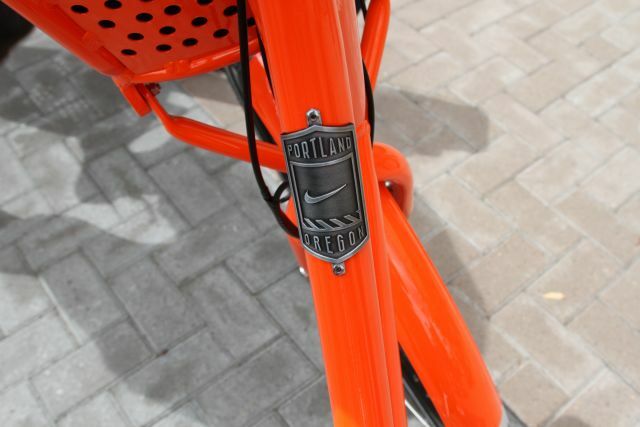 Now, the bikes: it’s hard to glimpse a Biketown cruiser and not think Nike. That's by design. These freshly minted eight-speeds wear both Nike's signature orange “shoebox” color and, mounted on the frames, its signature swoosh. Pronunciation for the program is not Bike-y-town, but Bike-Town (though some detractors still seem determined to call it by the former). 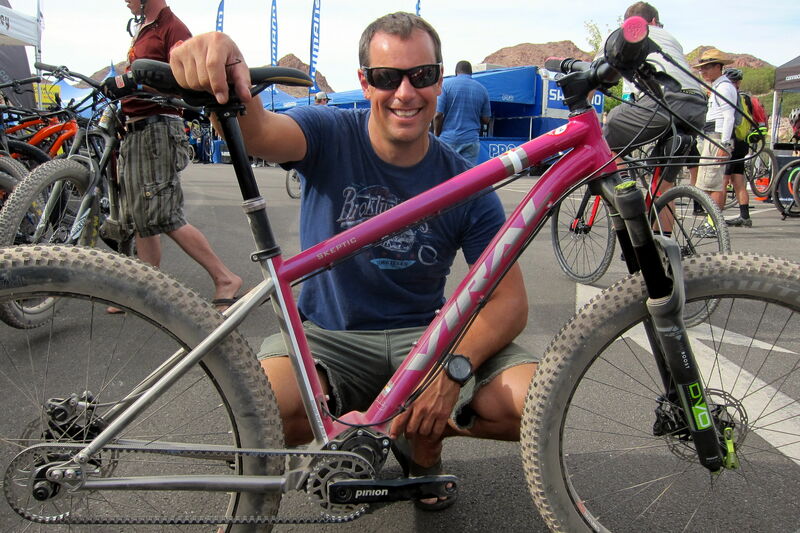 We're not denying that the neon-bright frame color isn't a safety bonus—doubly so given that helmets aren't provided. Novick may have point. Coming to community biking late in the game offers Portland the opportunity to learn from the mistakes of earlier programs. 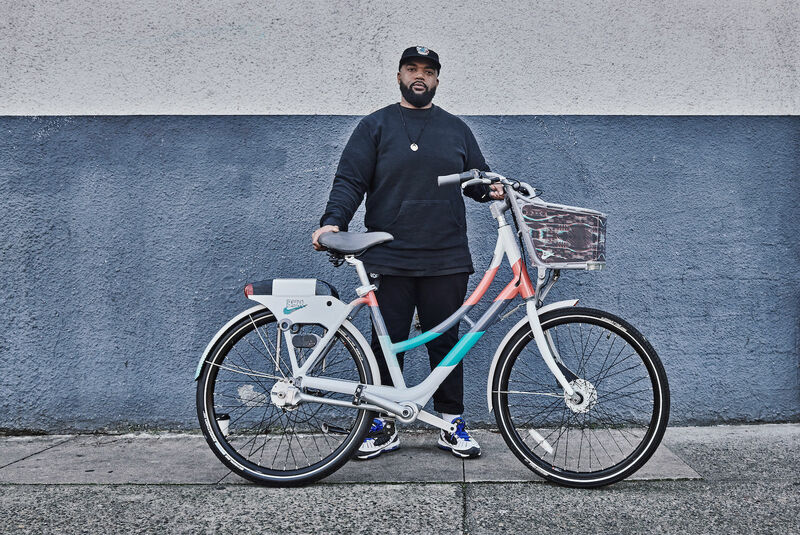 Plus, Motivate—the Brooklyn-based private company behind the program's design and operation—already has 11 successful cycle sharing metropolises under its belt. Much remains to be seen about the everyday ins-and-outs of the program—I'm sure readers will not lack for coverage. For me, right now, Biketown comes down to two simple and important questions: is the system user-friendly, and how’s the quality of the ride? I sported high-heel sandals and a large purse during the inaugural ride; thankfully, my outfit was not a problem. 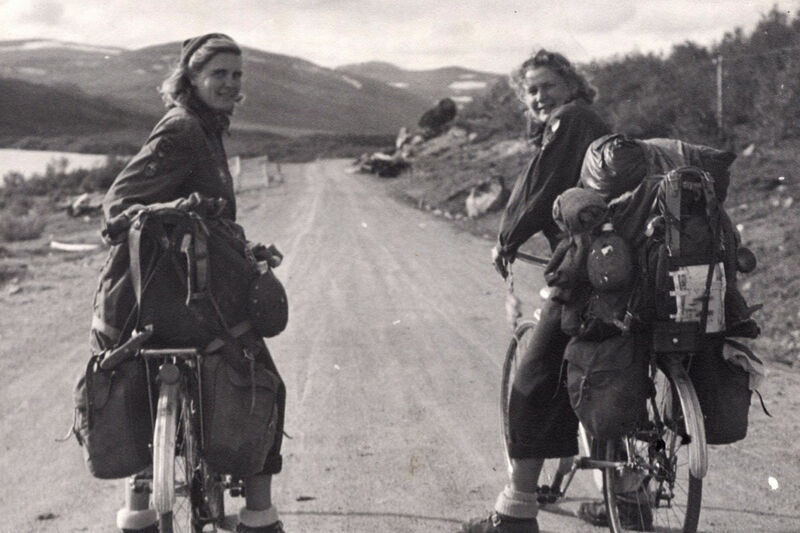 I was able to stash my purse and cardigan in the bike’s ample front basket, easily big enough for a laptop or a bag of groceries. At about 50 pounds, Biketown rigs are heavy and slow-moving—some have criticized their bulk, but I don’t see this as a negative for straightforward city cruising across a broad demographic. After all, this is public transportation, meant to be used by the masses, so slow, sturdy and steady is preferable to fast. Basket up front, brain in the back. Overall my ride over Tilikum Crossing was comfortable, though the gearshift wasn't functioning properly. This is something I’ve come to expect from prior adventures with cycle sharing: bikes will not always work well; they take a beating from users; and some will be more ragged than others. For any program, there will be problems. For instance, I worry about the U-lock system, and if riders will lose their locks. There are bound to be technology snafus. Credit cards will be overcharged. Pins will be forgotten. Again, this is public transportation; compare these slip-ups to the bus that comes late, or the MAX that’s too full. In the long run, I'm inclined to believe that any hassles associated with Biketown will be worth it. Cycle sharing makes Portland greener, healthier, and gives residents (and tourists) one more option for getting around town. As Blumenauer said, “I see this as the cherry on top of the liveability sundae." I agree, though citrus feels more appropriate: neon-bright, candied orange peel to cap a truly Portland experience—one we've hungered for for years. Ahh, memories. Steve here rode across the Tilikum Bridge sporting an original Yellow Bike frame.